We are proud to announce our new qualifier competition to advance our Classic Competitors to represent the United States at two upcoming IBA Competitions later this year. As a member of the IBA (International Bartenders Association), the USBG has the opportunity to send one classic competitor to compete alongside bartenders from across the globe at the IBA World Cocktail Championship and the IBA Panamerican Cocktail Competition. These events allow competitors and attendees to participate in these professionally rewarding competitions and conferences. 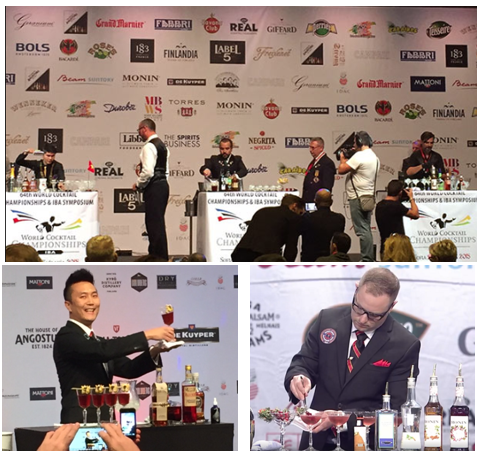 WHAT IS THE IBA AND THE WORLD COCKTAIL CHAMPIONSHIP? The IBA is an association of National Bartenders' Guilds from around the world. It was established in the UK in 1951 with just seven nations and has grown now to over 60. The IBA launched the first International Cocktail Competition (ICC) in Amsterdam, Netherlands, in October of 1955. 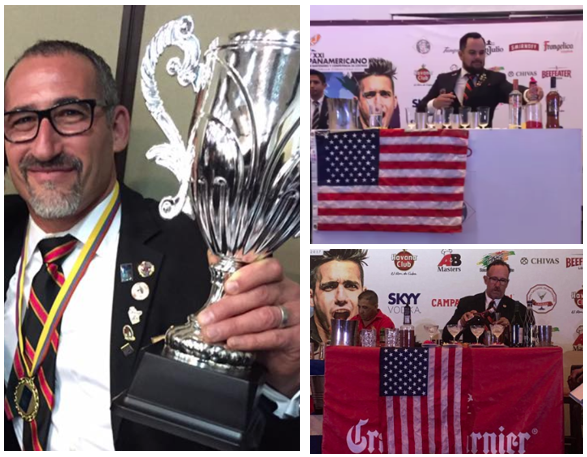 Giuseppe Neri, a bartender from the Excelsior Hotel (Palermo, Italy) became the first winner of ICC in the history of IBA. From 1997 on, the ICC organized the competition into three different categories: Pre-Dinner Cocktail, After Dinner Cocktail and Long Drink. In 1999, the competition was renamed the World Cocktail Championship (WCC). The year 2000 introduced a new phenomenon in the world of cocktails and mixology: Flairtending, and since, has been running two competition formats; Classic Mixing & Flairtending. The 2005 competition saw the introduction of the Fancy Cocktail (Sparkling) drink category, and in 2008, a Bartender’s Choice was added, offering contestants freedom to choose and compete with cocktails out of any of the four categories. The objectives of the IBA, besides hosting and running the annual WCC, include promoting and maintaining international relations between different guilds while encouraging a high standard of competence and conduct for the benefit and advancement of the profession of Bartending. They also offer an Elite Bartenders Course held in Europe, the Far East, and South America. WHAT IS THE PANAMERICAN COCKTAIL COMPETITION? The Panamerican Cocktail Competition, currently in its 23rd year, began in 1996. This competition was founded by José Ancona (Past President of the USBG), who was the North America IBA Vice President at the time. Mr. Ancona wanted to highlight the talents of bartenders from the Americas and created this competition and conference to fill that niche. The first Panamerican competition included competitors from Argentina, Brazil, Peru, Puerto Rico, Uruguay, the United States, and Venezuela. The number of countries has grown over the years and now includes many associations from South, Central, and North America, many of them Spanish-speaking. The competition was opened up to Spain as well in 2006. José Ancona is a founding member and Past President of the USBG and served as the North America IBA Vice President for 14 years. José is a pioneer in the bartending industry. He emigrated from Mexico City to find a job and a better life in America for his family. He found his home in the hospitality industry and worked his way from dishwasher to master Bartender, and is now a living legend in the industry. 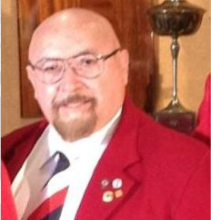 Through the years, José worked tirelessly to be an active USBG member, competing and winning several competitions, as a constant advocate for the hospitality industry and bartenders, both nationally and globally. This competition honors his hard work and dedication to the craft of bartending, and the winner will be named the José Ancona National Classic Competition Champion. The Application Phase will begin on April 5th, and we will be accepting applications until 11:59pm PDT on May 14th. Applicants will be required to submit a Pre-Dinner original Baijiu recipe and a short-answer essay reflecting on José Ancona. We would like you to reflect on José’s journey and share how you hope to form your own legend story. All applications in this phase will be reviewed and scored anonymously by a panel comprised of IBA Liaison Committee members and qualified Application Evaluators. The Top three competitors in each chapter will advance to Phase Two, which will take place between May 14th – 28th. Chapter leaders will set up an appointment with these competitors to present their cocktails. This presentation will be filmed. Please take a few moments to familiarize yourself in the art of an IBA Style Competition. Your chapter leaders will rank their competitors and send the information to the IBA Committee. The IBA Committee will convene to review all of the applicants, prepare and taste the cocktails as well as view the presentation films. All scores will be tallied and the top-scoring competitor will represent the USBG in Chengdu China at the WCC and the second highest scoring competitor will earn the IBA Panamerican placement. The National Champions will be announced on or around June 18th. THIS COMPETITION IS OPEN TO ALL USBG BARTENDERS! For more information, please click into the Competition Resources linked below!